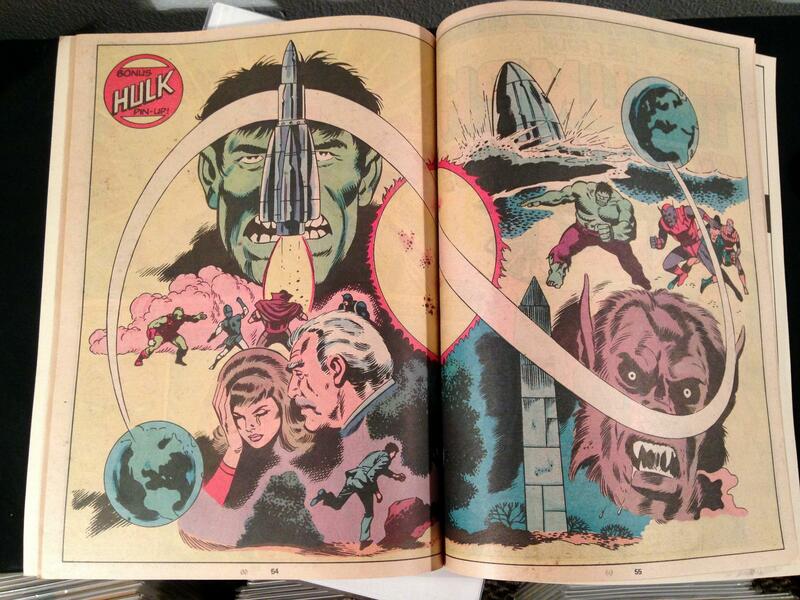 Marvel collected some of the Hulk’s adventures in two Marvel Treasury Editions. 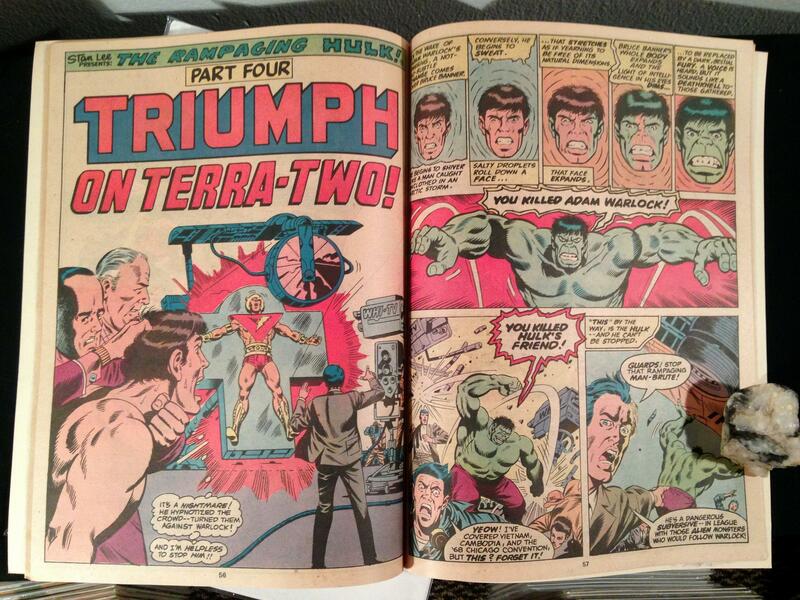 #24, with the staggeringly low cover price of $2, finds Hulk playing a major role in the early development of Adam Warlock. Warlock here is in transition. 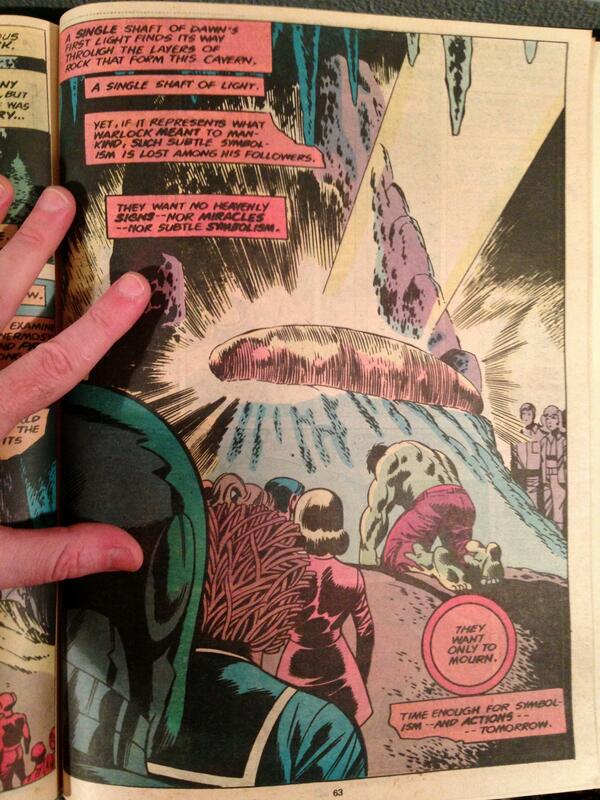 Fantastic Four #67 by Stan Lee and Jack Kirby gave us the origin of Warlock, though he had not even a name back then. 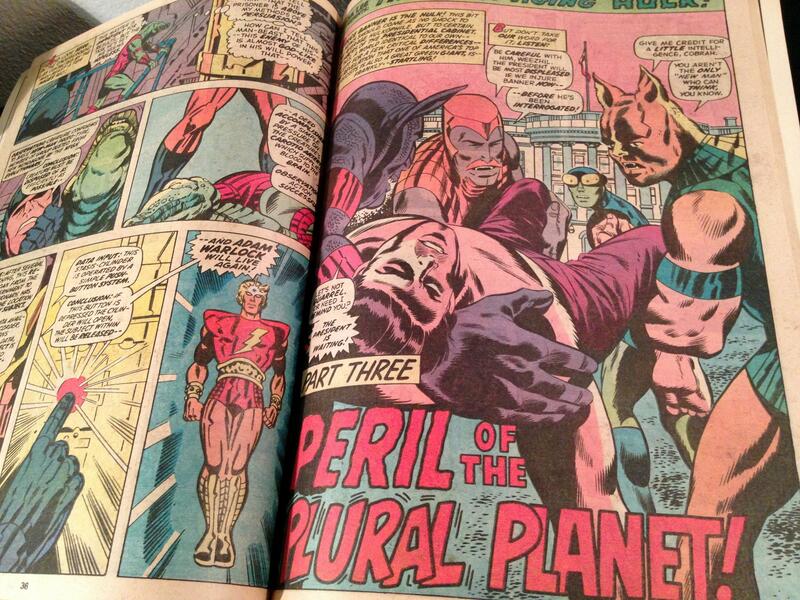 (It’s reprinted in Marvel’s Greatest Comics #50 if you want to own the issue without spending an arm and a leg on it.) 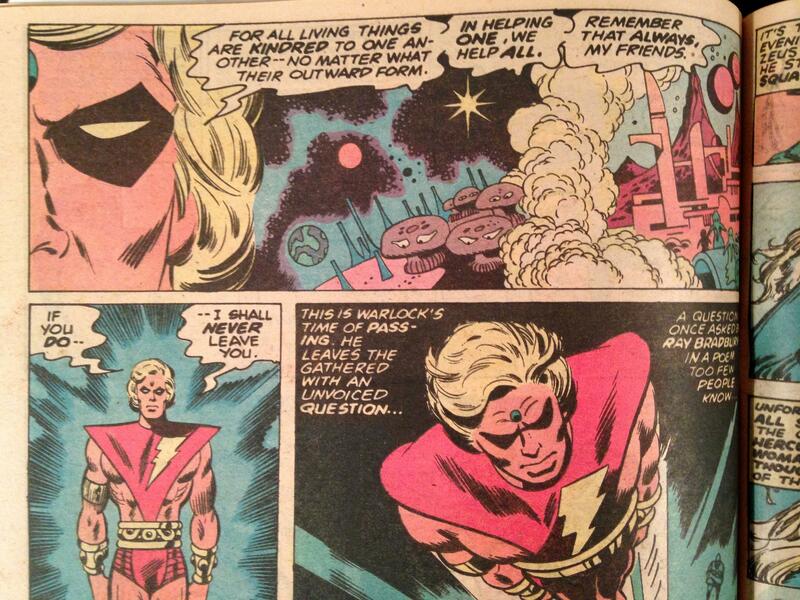 After this story, Jim Starlin would take on Warlock and make the fledgling character truly great. 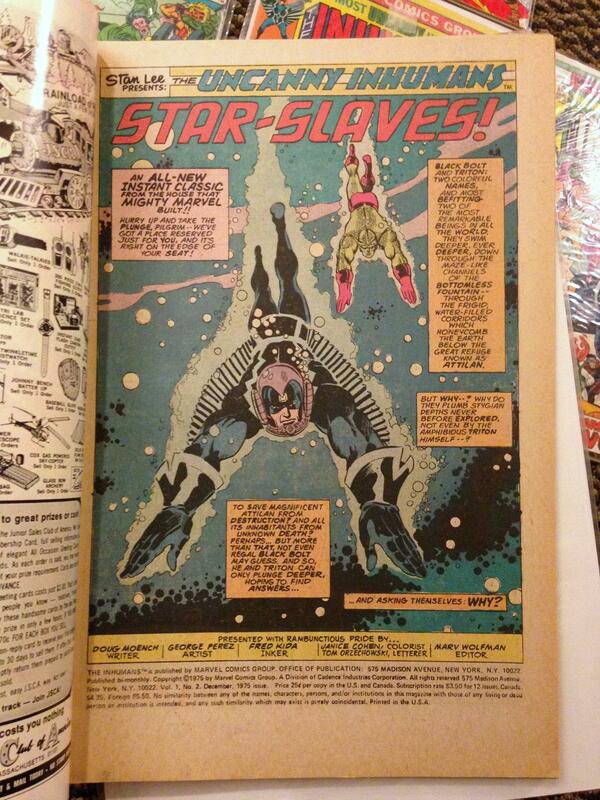 Starlin’s first issue recalls some of the key plot points from the issues presented here. 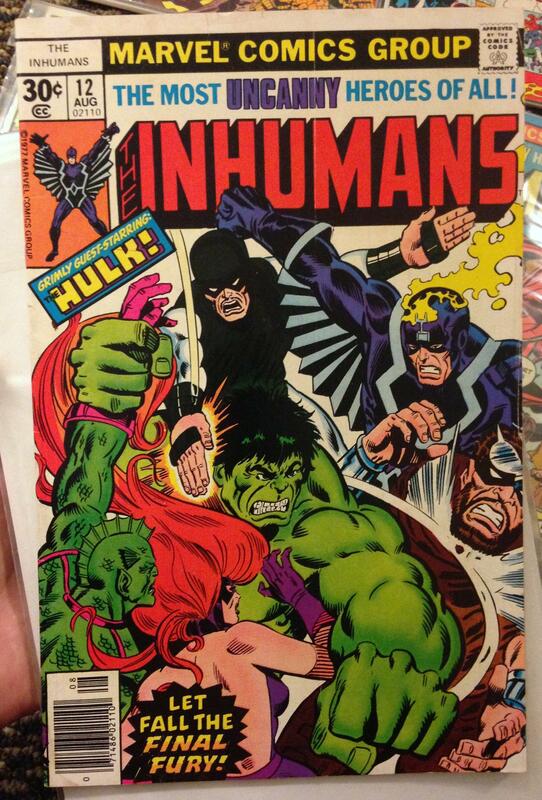 In the opening chapter, Hulk tangles with the Inhumans and gets shot into space where (hopefully) he can’t hurt anyone. Greg Pak ran with this same idea in recent years, landing Hulk on a distant planet where he becomes a great warrior and leader, Gladiator-style. 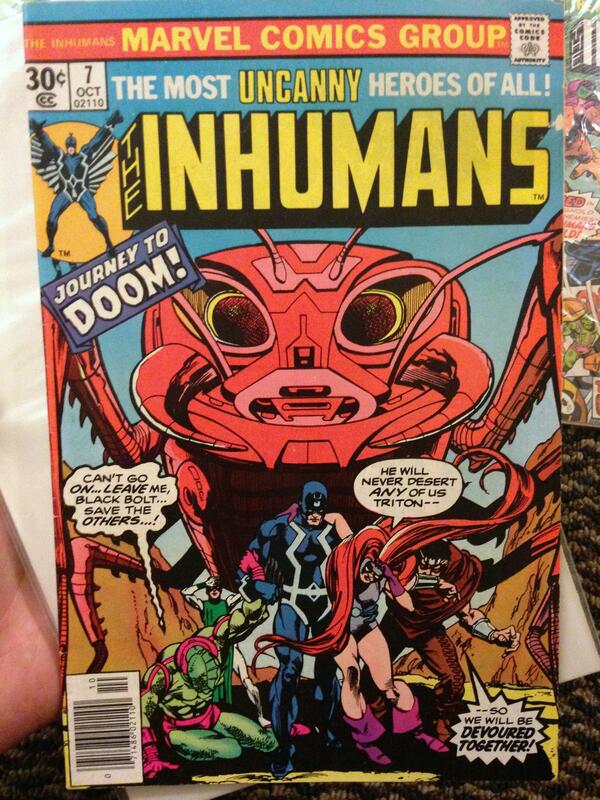 Gerry Conway sets Hulk on “Counter-Earth” instead, where the High Evolutionary has created some anthropomorphic Ani-Men (animal + men) that have become caught up in a war. Seems that these “furries” have many of the same conflicts we do! 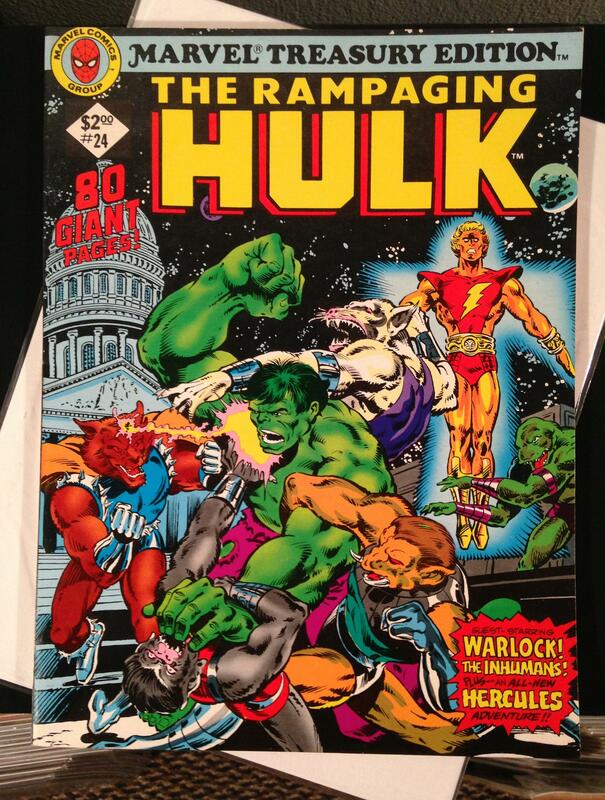 This conflict brings Warlock and the Hulk together, and our lumbering green Goliath finds one of the few friends he will ever make in comics. 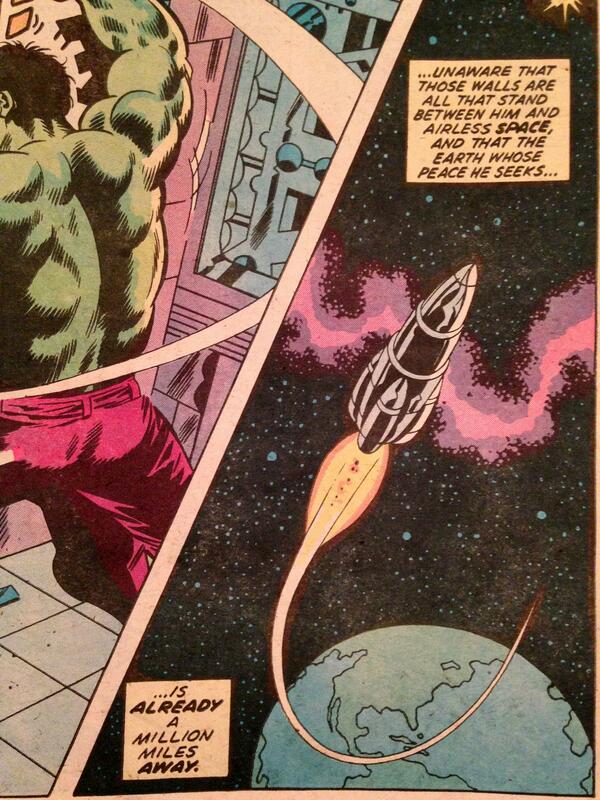 Hulk’s love and dedication for his new friend take on an innocent, childlike tone that gives us another side of his character, while Warlock plays out a Christ story in his capture, death, and heroic resurrection. 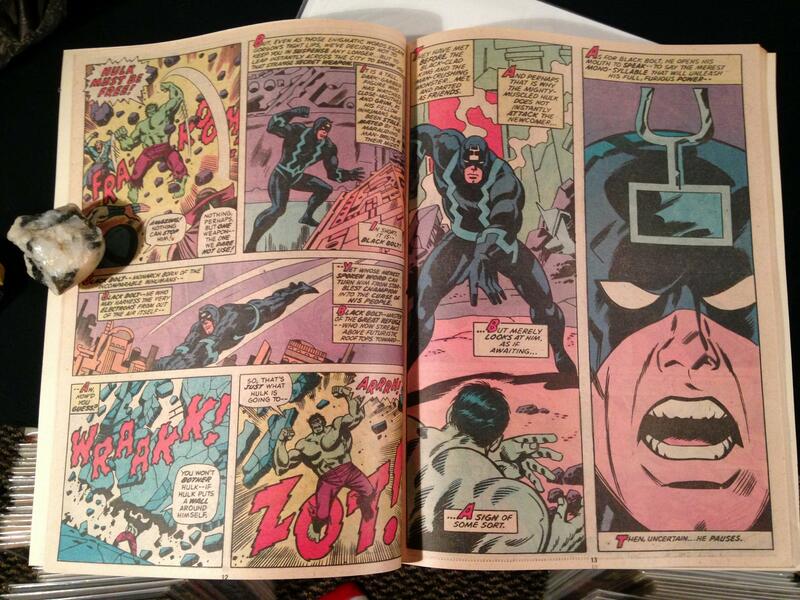 Along the way we get some glorious Herb Trimpe splash pages, and a giant-sized two-page spread designed for this edition. 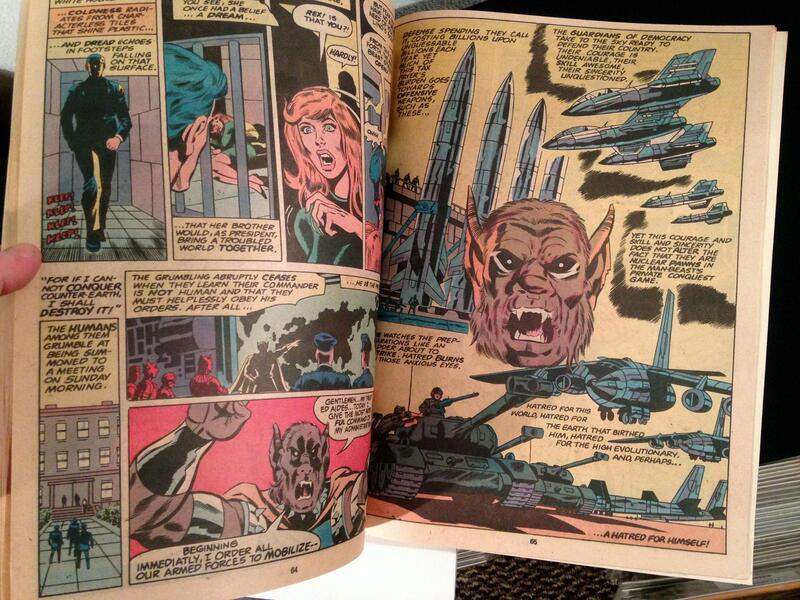 Trimpe’s art really sings in this large format. Though the political and religious themes of the story seem aimed at a more adult reader, the writing is geared for young readers, too. Trimpe’s artwork embraces the childlike silliness of comics while delivering some fairly intense pathos and drama at the same time. 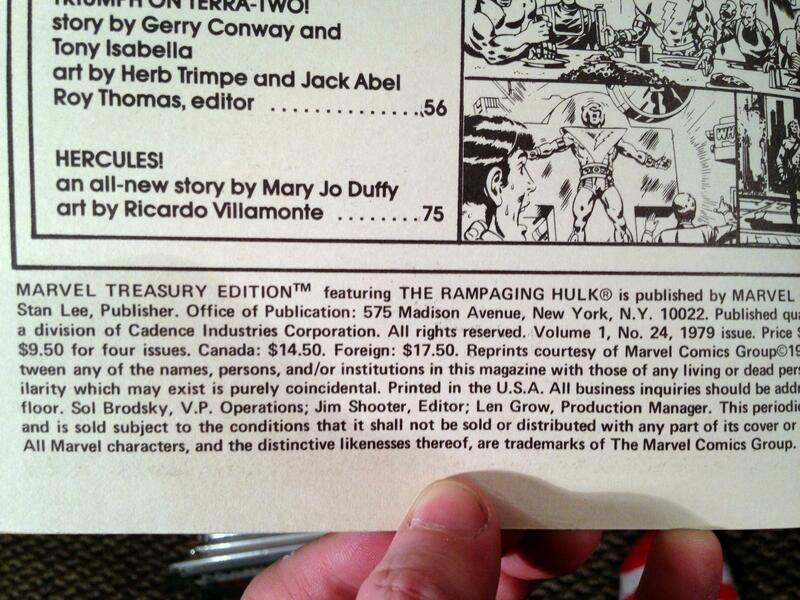 We read this Treasury Edition several times as a kid in the early 1980s, just after it came out in 1979. 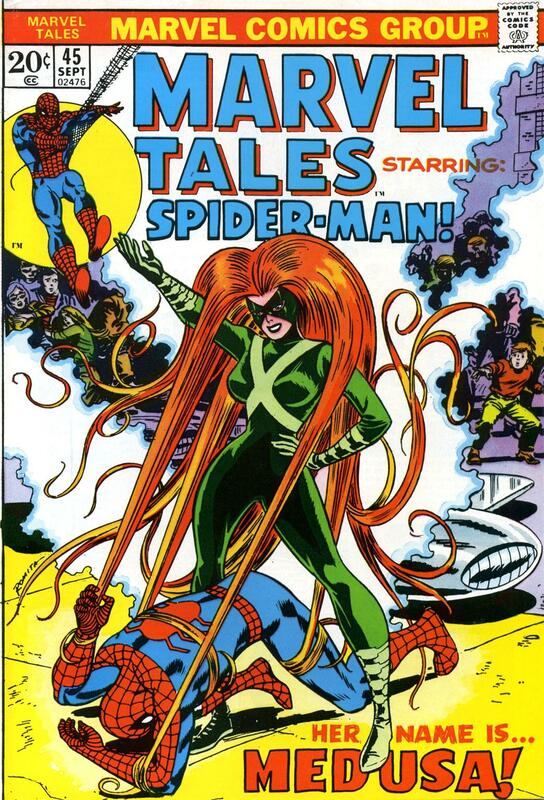 It was fun to pick up and read again, even if the story wasn’t quite as fresh these days as it was back then. 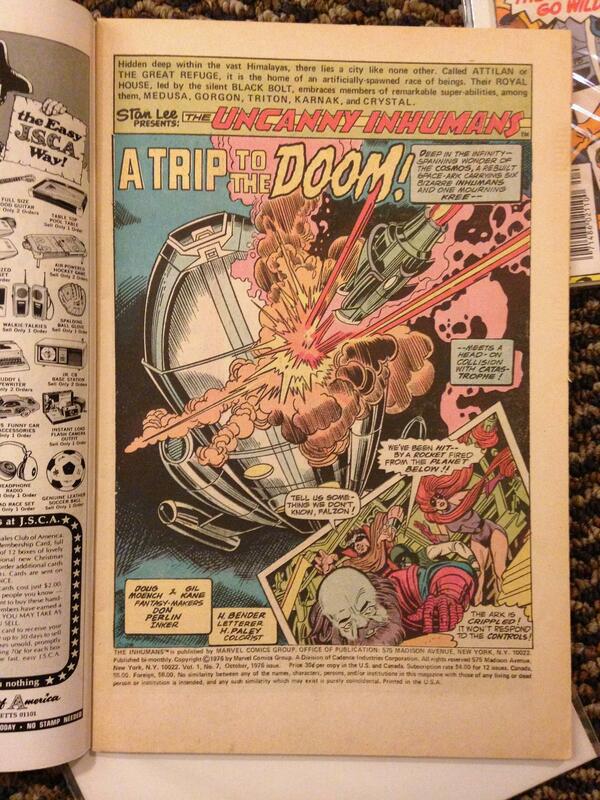 Trimpe just kills it, as you can see on many of these pages in this post. 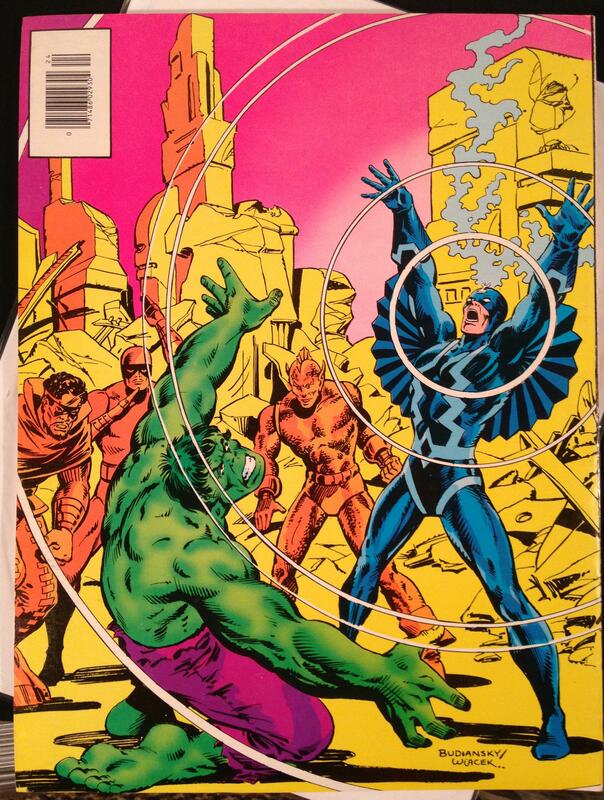 We recently sold our copy on eBay, but you can usually find Marvel Treasury Edition #4: Rampaging Hulk in stock for a reasonable price. 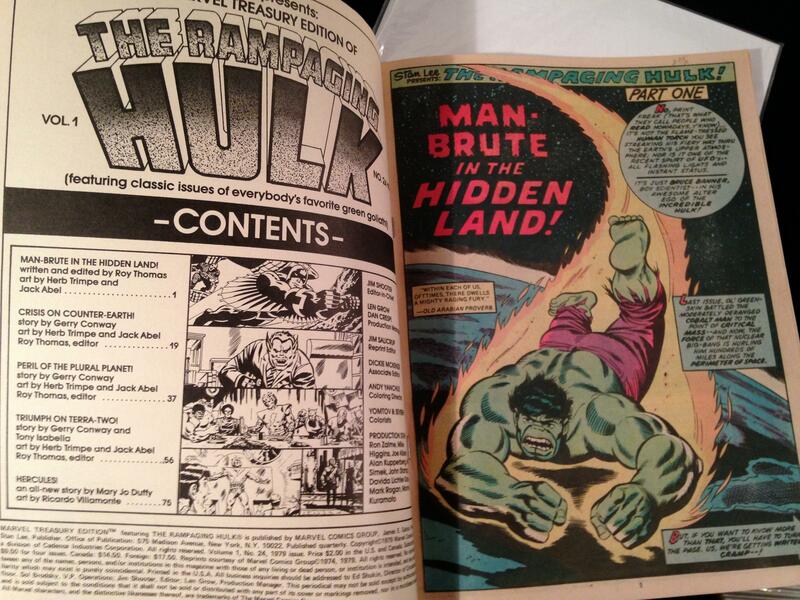 It’s perfect for fans of the classic Bronze Age Hulk as well as Warlock collectors. 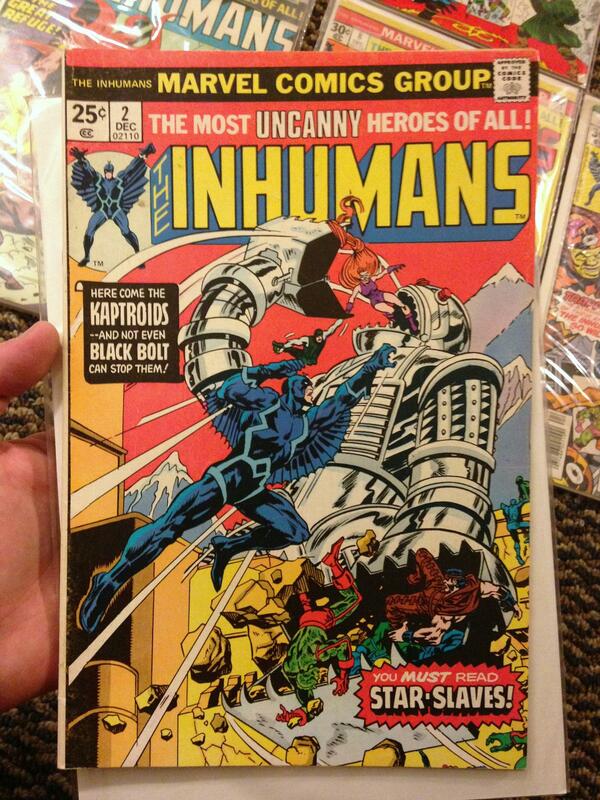 Inhumans – Jack Kirby’s first issue from 1970! 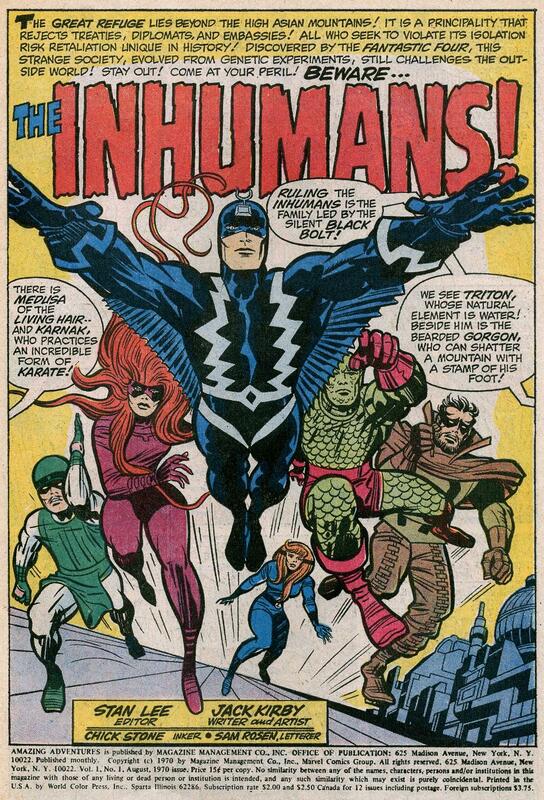 In the second Amazing Adventures series, Jack Kirby took The Inhumans out of the Fantastic Four to star in their own stories. 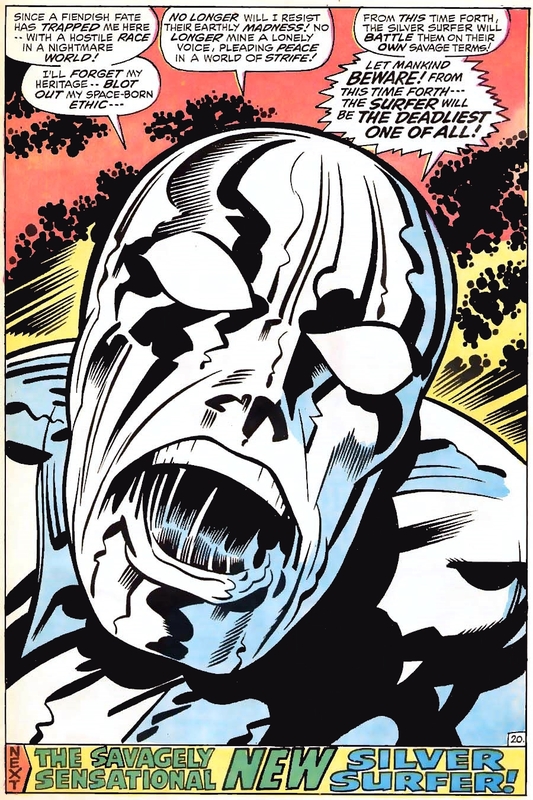 Here in 1970, Kirby’s art moves towards the revolutionary cosmic style that defined his later 1970s works. 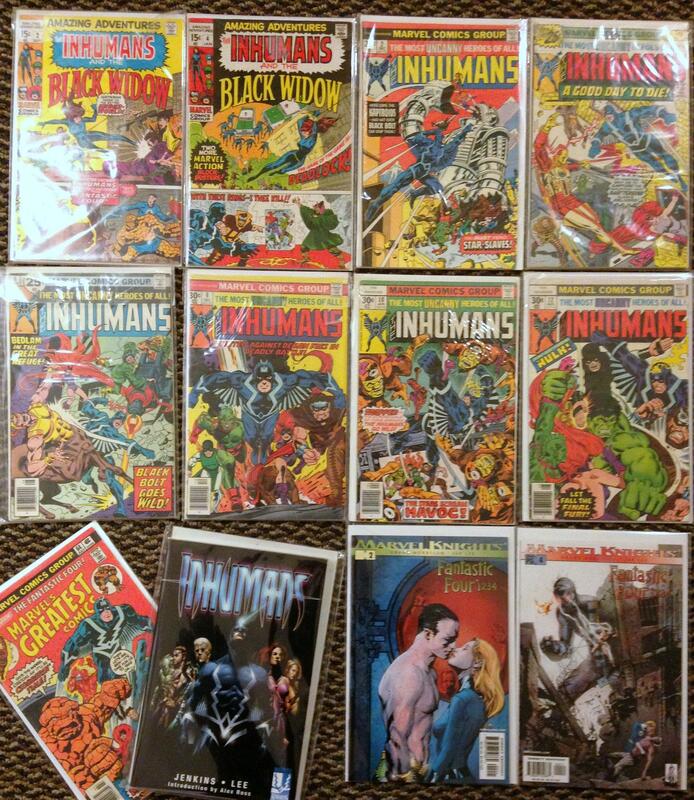 Plus, he takes writing credit for these Inhumans tales. Most of them stay pretty close to well-worn Marvel scenarios: good guys manipulated by bad guys into fighting other good guys, or good guys punching evil costumed creeps. 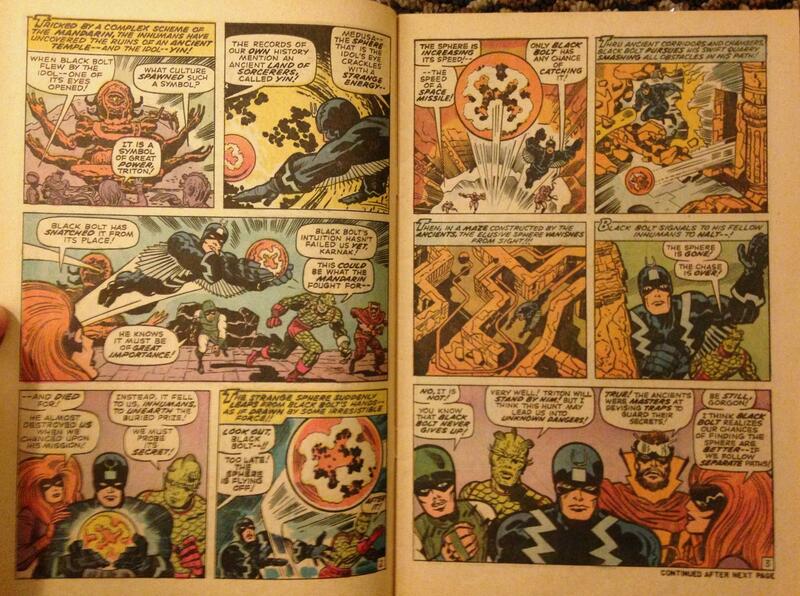 But, you can look at them as a warm-up for Kirby’s rise to greater creative control over art and story. 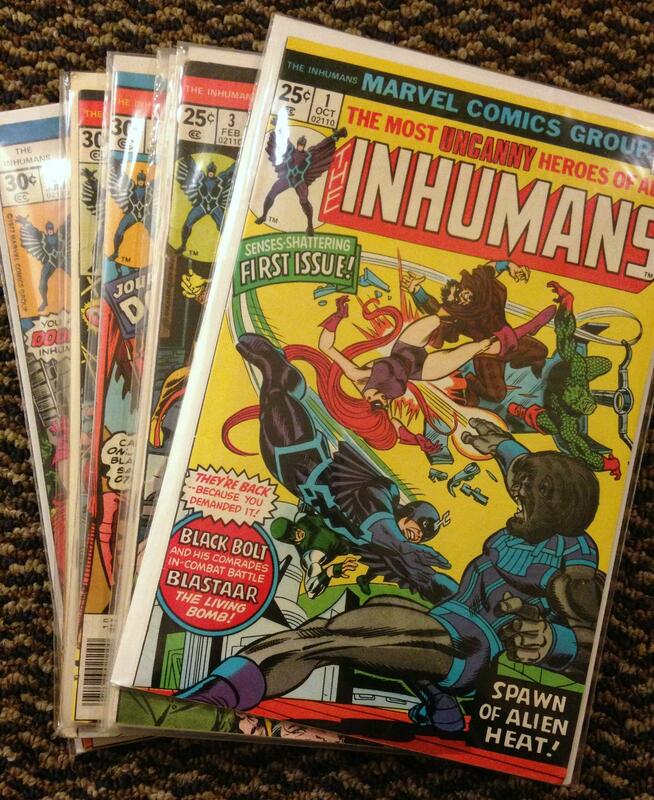 Kirby crafted the Inhumans stories in the first four issues of Amazing Adventures before other artists and writers took over. We see them as a middle ground between Kirby’s Fantastic Four work and the cosmic epics he would soon produce at the apex of his career. 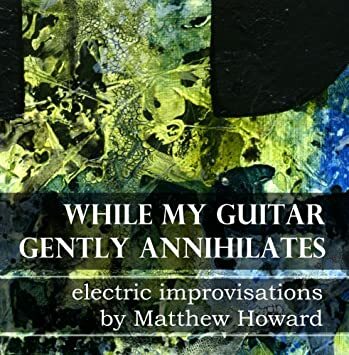 – From Amazing Adventures Vol. 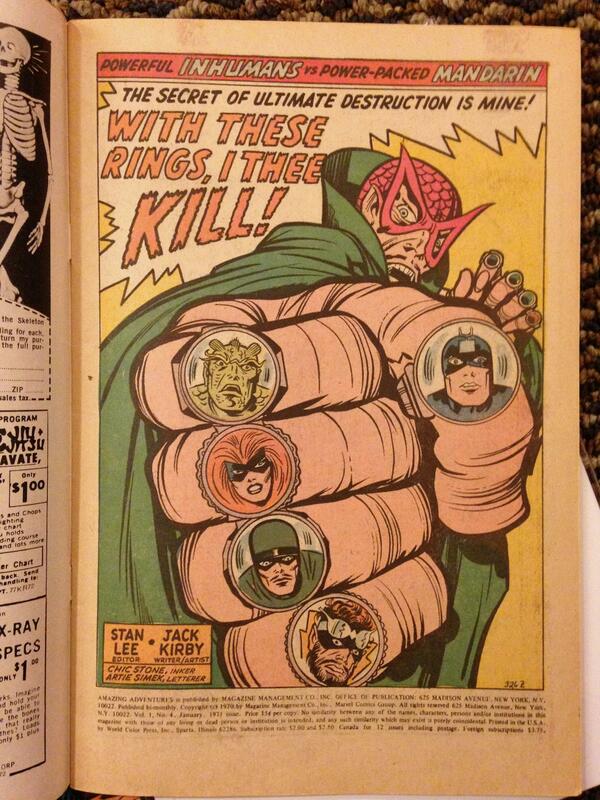 2 #1; Marvel, 1970. 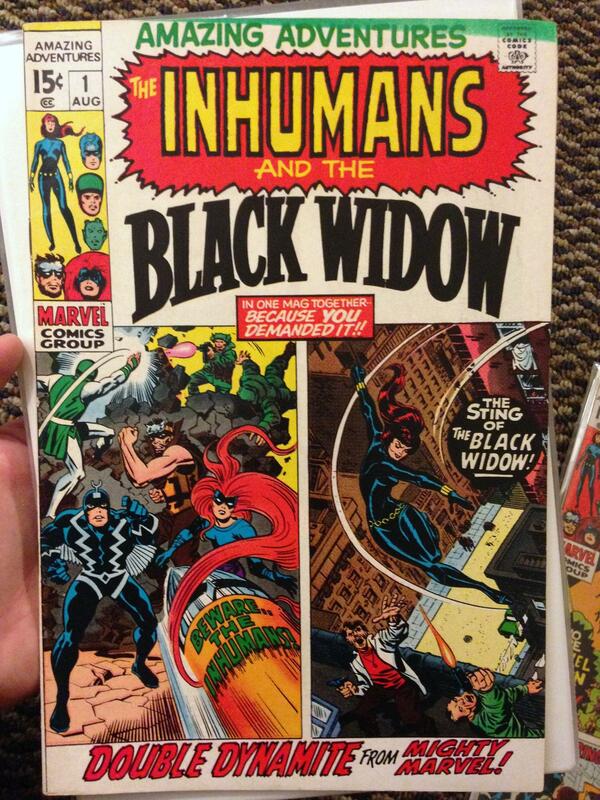 – Reprinted in Marvel Masterworks Inhumans hard cover #1. 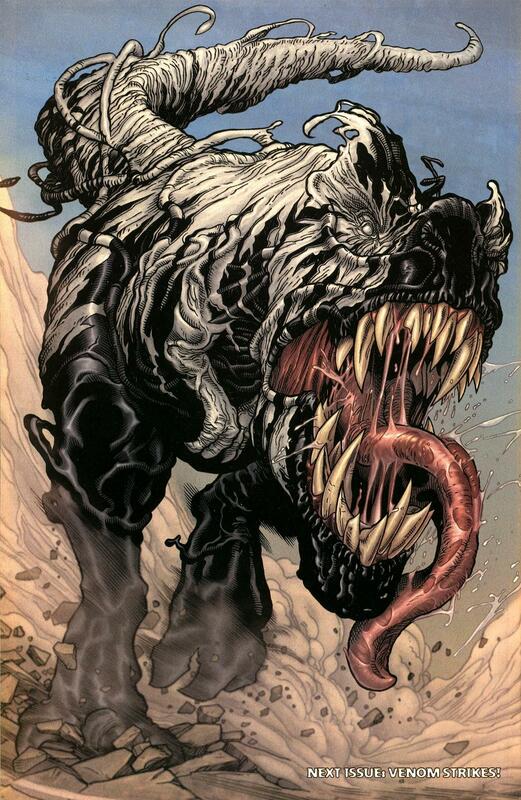 Let’s look at more awesome art by Jae Lee! 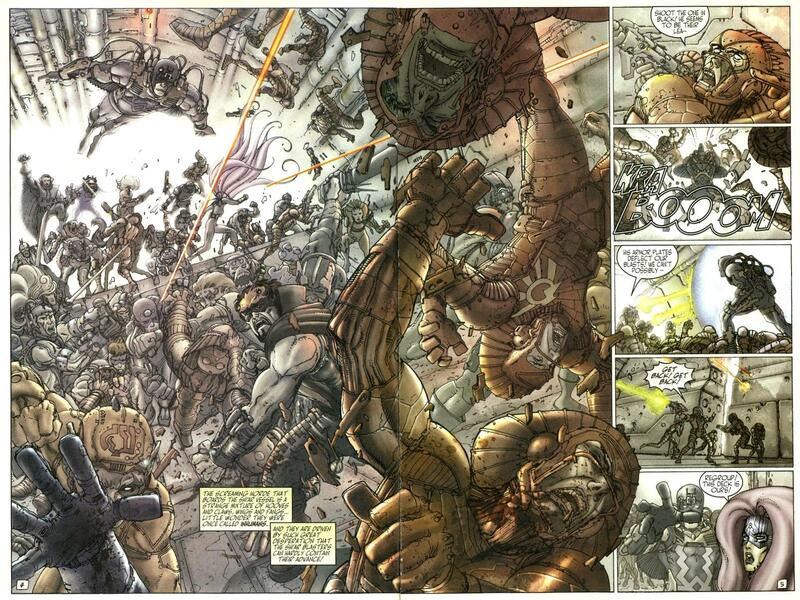 Here are some cerebellum-slashing pages from Ultimate Fantastic Four Annual #1, featuring The Inhumans. 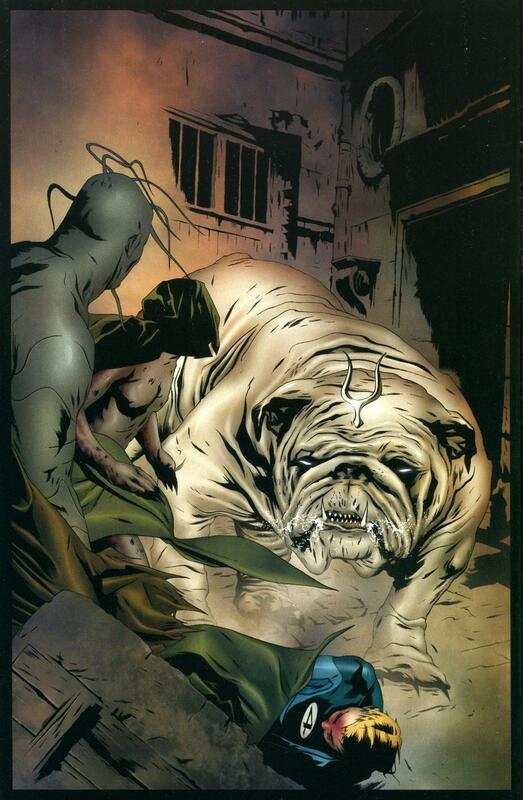 Let’s just Look at some awesome art by Jae Lee! Here are some amygdala-annihilating pages from The Inhumans. What New and Savage Madness is This?! Silver Surfer Vol. 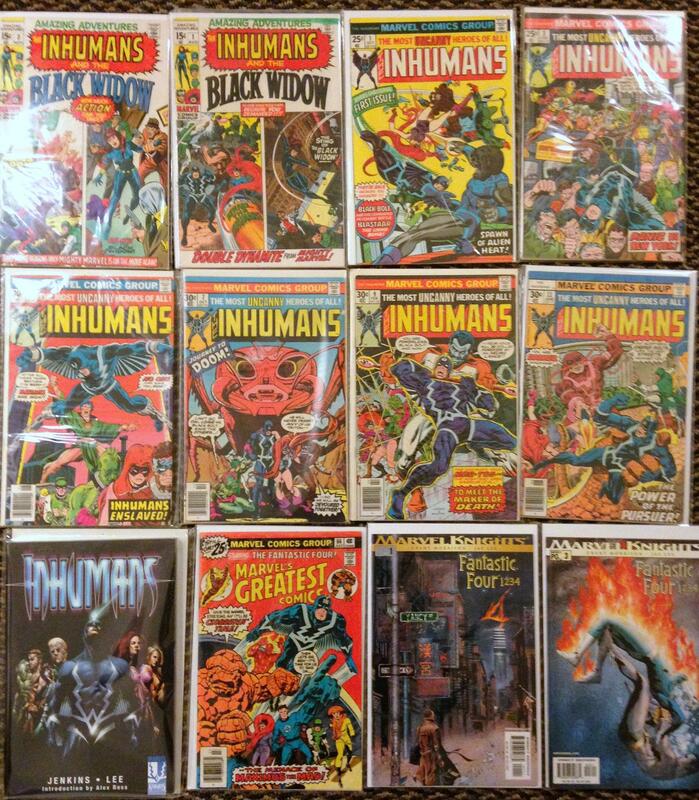 1, #18: To Smash The Inhumans! Reprinted in the Essential Silver Surfer #1 in black and white. 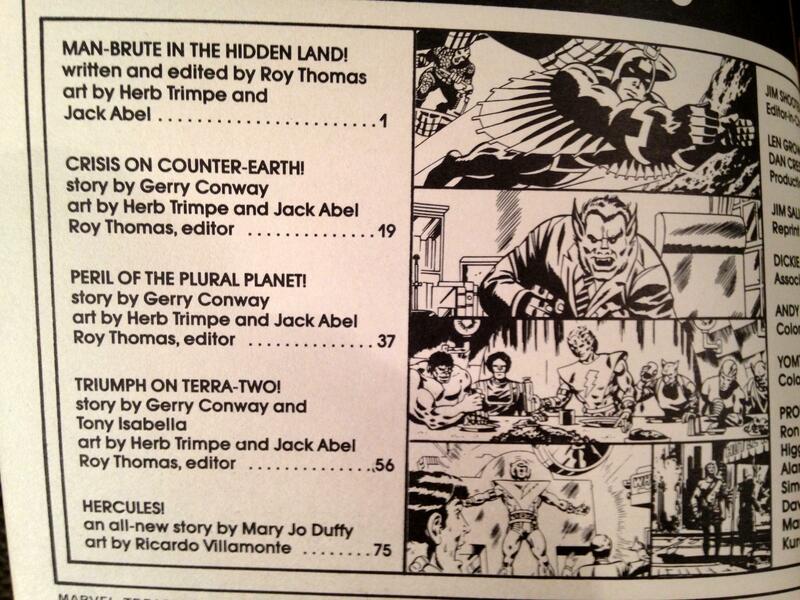 Jack Kirby‘s only artwork on this series. 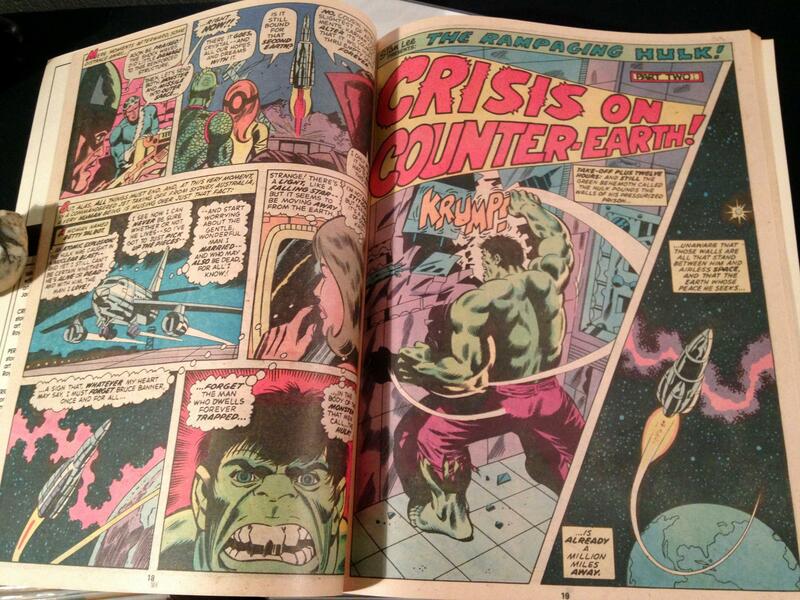 Stan Lee script + Herb Trimpe inks; Marvel Comics, 1970. A Rogue Moon, Armed for War! 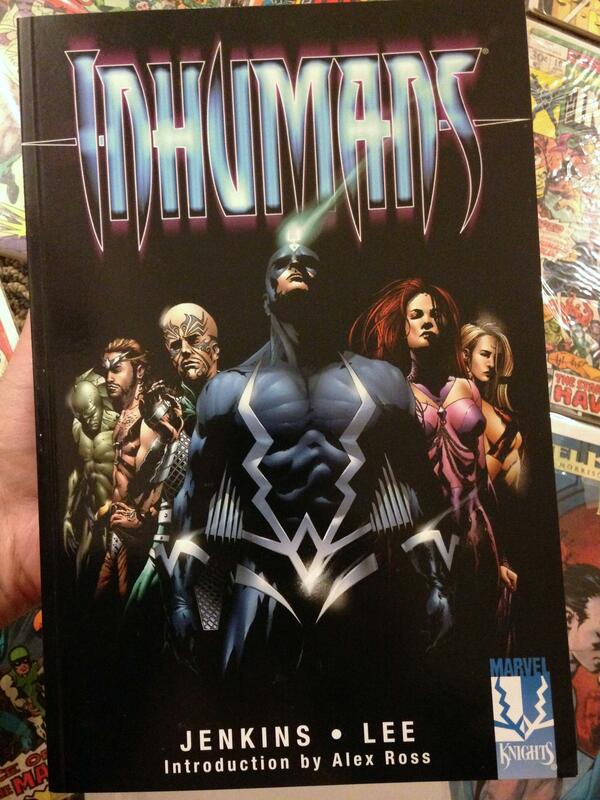 Ah, here it is: in the pages of a four-issue series about the Inhumans! 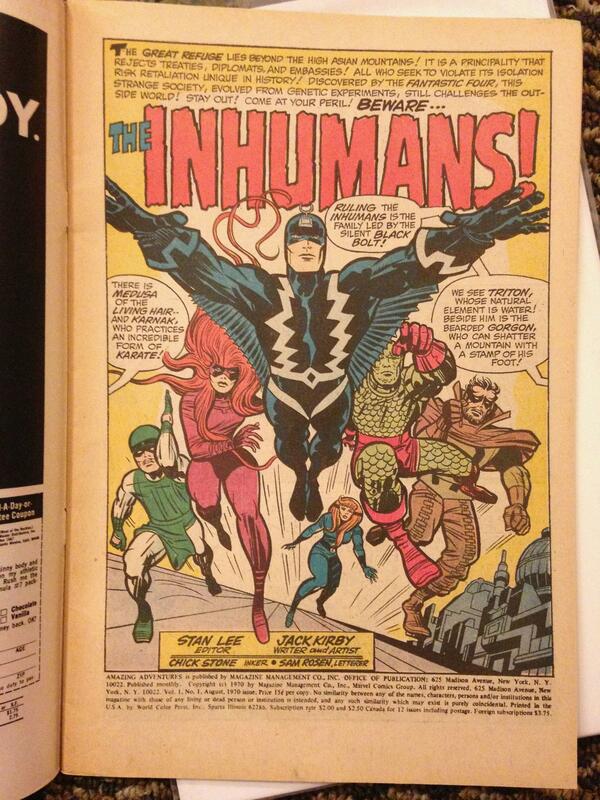 The Paul Jenkins and Jae Lee version of the Inhumans was the all-time greatest, Jack Kirby’s originals and the 1970s version notwithstanding. 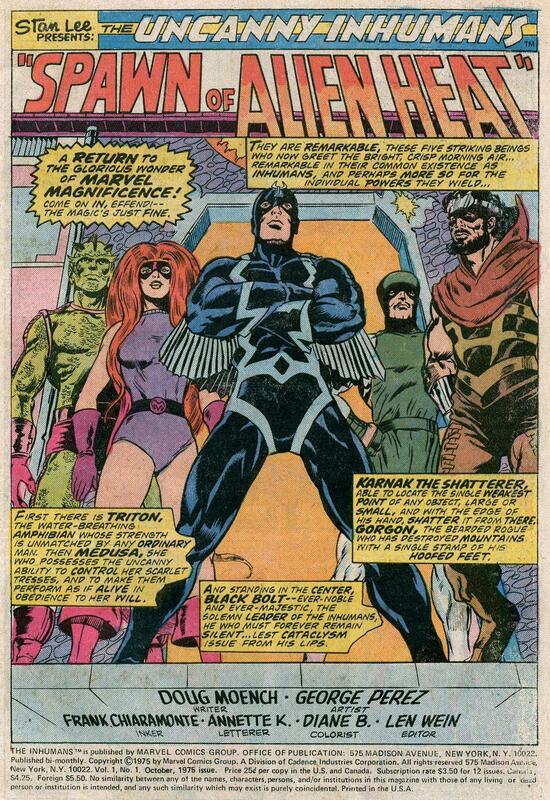 But this mini-series gives the Inhumans an unforeseen twist by revealing their true relationship to the Kree, and the purpose for their existence. 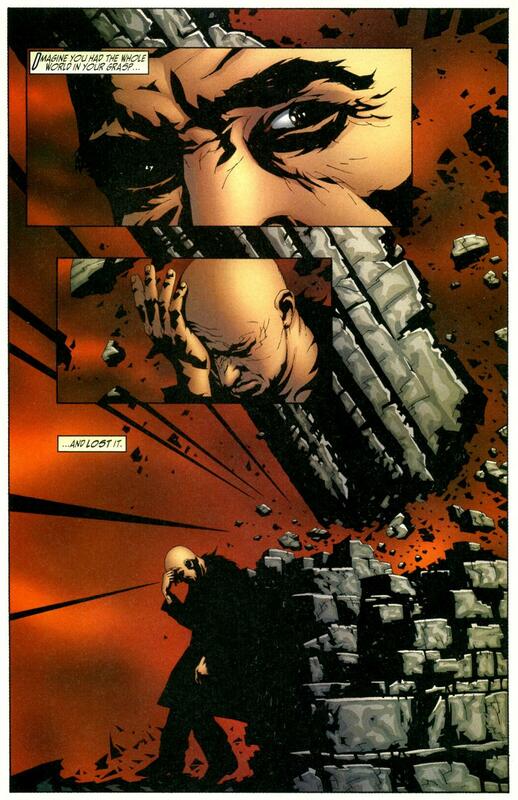 -From The Inhumans #2; Marvel Comics, 2000.